The idea of eating fresh, local food all year long is a delightful proposition: Crisp garden flavors delight our palates, and as one food craving begins to be satisfied, another one emerges. In turn, we help create a system of support for our farmer neighbors. When I lived in California, I gardened year-round and shopped farmers’ markets several times a week; I simply–and happily–changed my diet according to what was available. Alas, that’s a lot harder to in Pittsburgh. To be sure, there are a few options for buying local food all year long: Kretschmann Farm has a winter CSA, Penn’s Corner Farm Alliance runs a year-round farm stand, and you can pick up locally raised meat and eggs at the Pittsburgh Public Market. But let’s face it, winter is pretty bleak around here; I can’t grow lettuce in my garden in January or pluck Meyer lemons from trees while I walk my dog (seriously) like I did in February in CA. So what’s a local food fan to do? 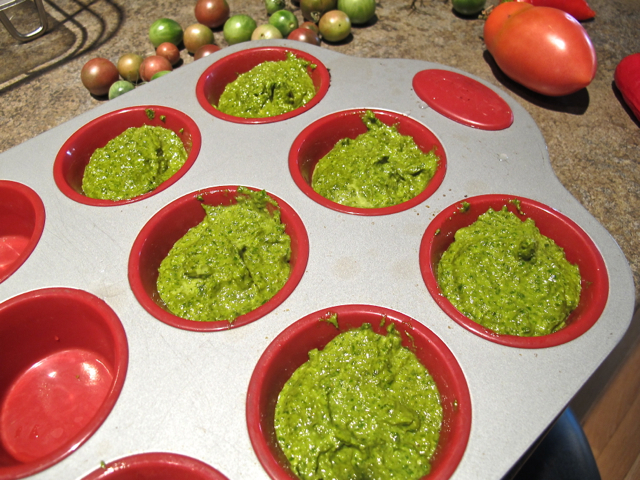 Perfect pesto servings, ready to freeze. This one is easy because it doesn’t take a lot of special equipment–we all have freezers, right? Blueberries are a fantastic fruit to freeze; separate the berries individually on a baking sheet, let them freeze, and store in an airtight bag. Easy. Tomato sauce freezes pretty well, too. If you have a vacuum sealer you’ll be able to keep food longer, but a freezer bag with all the air sucked out will work perfectly fine. My favorite thing to freeze is pesto. Do it right, and it’ll taste almost as fresh as when you made it over the summer; all you have to do is blend basil, olive oil, toasted pine nuts, garlic, salt, and parmesan cheese. Protip: Freeze it in ice cube trays or cupcake pans; you’ll have perfect serving size. Preserving food in sealed glass is the classic way of extending the harvest. 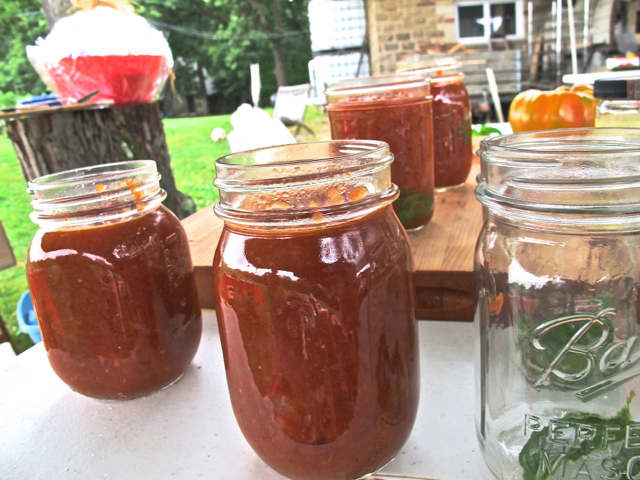 You can make jams and jellies, sauces and chutneys, and pack your shelves with goodness. I made strawberry jam for the first time this year, and as autumn begins to take hold, I can remind myself of the flavors of spring by cracking open a jar. 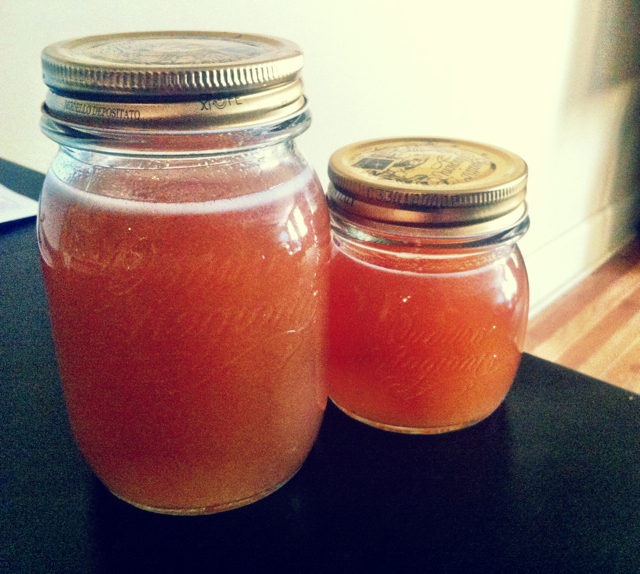 The upside to making your own jams is you can control the sugar content. The downside is that it takes a bit of finesse to perfect your recipe; I have a grape jelly that’s more like a beverage than something I can spread on toast. My latest obsession. A shrub is an old-timey way of preserving the harvest; records date back to the time when the US was still a British colony (and it’s likely shrubs were made before that, too). Basically, you crush fruit, and mix it with an equal part sugar; let the mix sit in the fridge for a day or two. After that, you strain off all the solids, and then add an equal part of vinegar. The result is a savory-sweet flavor reminiscent of the fruit you started with. Shrubs are a hot trend in cocktails today, but you don’t need to be a drinker to enjoy the pungent sweet flavor of a shrub; just add Pittsburgh Seltzer and you have the world’s best fizzy drink. Pickles, sauerkraut, kimchi are all foods that are brought to you courtesy of preservationist bacteria. Fermentation is one of the oldest methods of keeping perishable food edible for long periods of time. OK, a kosher dill pickle doesn’t taste anything like the cucumber that got it started, but sometimes preserving the harvest means creating a whole new flavor. You don’t need any special equipment for this one, but you do need to pay particular attention to sanitation. Also, the fermentation process releases some–unique–odors. Personally I find the smell of pickles in brine to be a beautiful thing, but if you don’t you might want to use a fan to circulate the air. 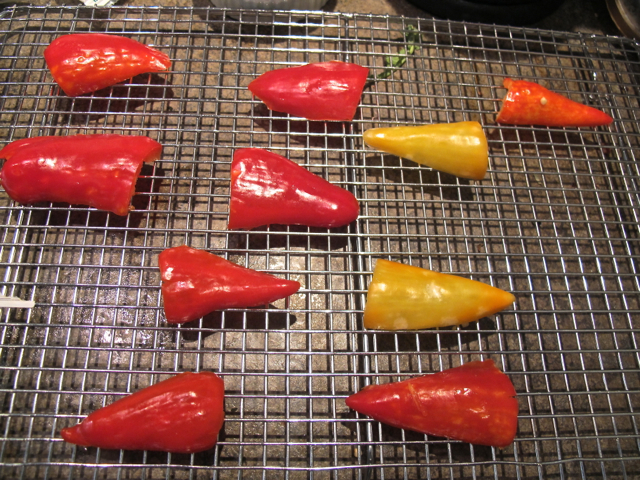 Peppers on cooling rack, ready to dry. My hot pepper plants were prolific this year, and I wasn’t sure what to do with them. I made a few salsas (those will extend the harvest, but a September salsa in January isn’t pretty) and put a few in recipes, but I still had too many. So I decided to dry them. Think about all the wonderful dried foods there are: fruit leather, herbs, sun-dried tomatoes. What they have in common is that they are all flavor…concentrated. The most efficient way to dry food is with a dehydrator–but they can be expensive, so don’t run out and buy one if you’re not going to use it. An oven set to the lowest temperature will usually do the job, and if you’re especially diligent you can dry food in the sun–it is the original dehydrator after all. I posted this blog as part of the Pennsylvania Association for Sustainable Agriculture’s Local Food Month challenge. Leave a comment below by Sunday, Sept 23, sharing what you’re preserving this winter, your favorite food preservation story, or any recipes/tips you have in your playbook. Winner will be picked at random and will receive a signed copy of Marisa McClellan’s remarkably informative book Food in Jars and a $25 gift certificate to the East End Food Co-op! Hooray for free things! Meanwhile, try to get cracking with a preservation project. Visit a farmers’ market, raid your garden, or check out a local farm. Be creative and have courage! Feel free to ask me for advice, too. For more on PASA’s local food month, check out the rest of the challenge. We have a contest winner! Congratulations to Sarah Leavens! (15-17 via PASA blog). 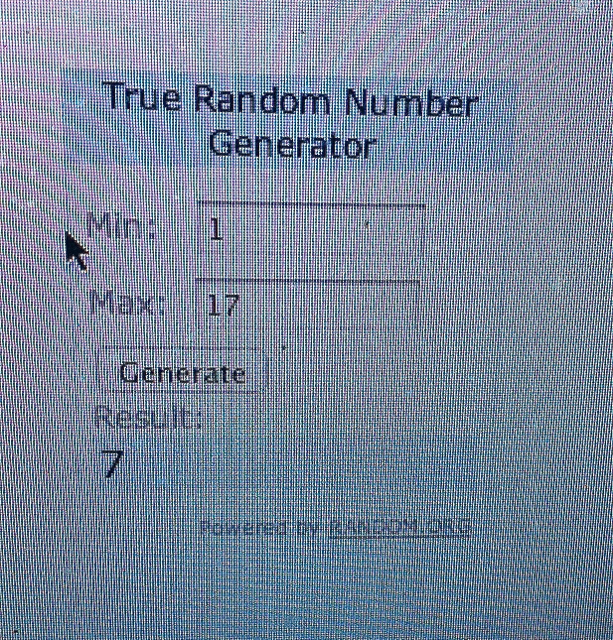 Winning number, generated at random, is 7.